With Celebration monthly disposables in the market buying lenses online is so much easier. With options for high myopes with powers upto -12.0 and even Plus powers upto +4.00 one can have a lot of choices. So even with users who always wondered if they can wear contacts with a plus power without spending much can now make use of the availability. 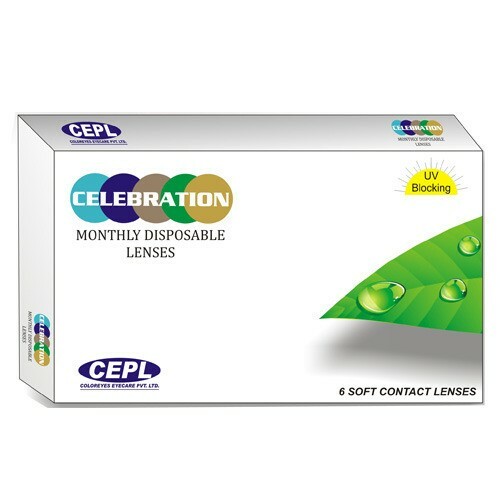 Buy online these lenses and save with a low price all year round. With each box at Rs. 500 at mailmylens.com and a high water content of 58% it cannot get better. These lenses are made in Taiwan with a high water content of 58%. "